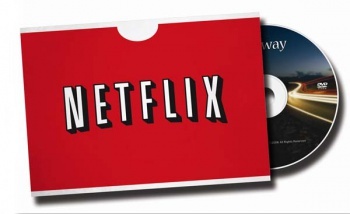 Despite its plans a few months ago, Netflix no longer has any desire to add games to its DVD-by-mail program. Remember how, a few months ago, Netflix announced plans to spin off its DVD-by-mail rental service into a separate entity called Qwickster that would allow premiere customers to rent games, too? You know, before the company's stock prices dropped like an obese seagull, millions of customers canceled their mail accounts (or switched to streaming-only plans), and the whole concept of Qwickster was unceremoniously killed off? Well, in spite of this, a lot people were hoping that games might still come to Netflix. However, that possibility has officially been nixed. The fact that Netflix was no longer planning to add games to its mailing lineup was only one of several interesting facts revealed during an earnings call with CEO Reed Hastings. The man also explained that DVD-by-mail is expected to become less important to Netflix's business plan while streaming will continue to grow (although the profit margins for online streaming are much lower "due to the high costs of content for streaming"). Additionally, the last quarter saw the company lose 2.76 million DVD subscribers, and streaming users now outnumber those still receiving DVDs by more than 2 to 1. Undoubtedly, groups that do rent physical copies of games - like Redbox and GameFly - will be relieved to see that they don't have to worry about this potential competition. Still, if Netflix hadn't deflated so rapidly, one has to wonder if things would've worked out differently.